Happy holidays, you're broke: With Statistics Canada revising away our savings and recalculating our disposable income, Canadians are suddenly a sorrier lot. Here's the picture now emerging: We're saving less than we thought, have less for everyday needs than we thought, and have a significantly higher debt burden than we thought. Don't blame the statisticians for the mess we find ourselves in. Then, on Friday, the federal agency said it also revised down levels of disposable income in 2016 based on new information from the latest batch of T4 tax form filings. 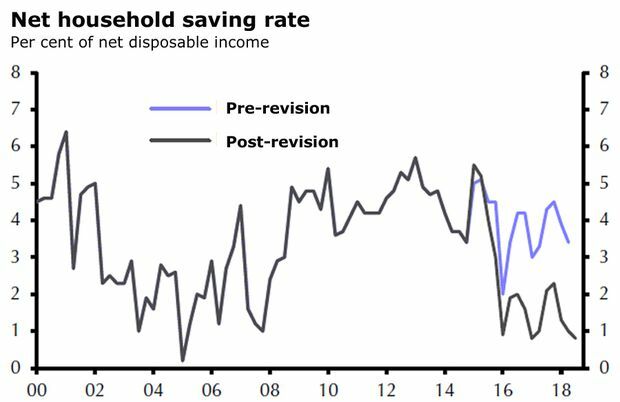 And because of that, it revised up the debt burden, the key ratio of household credit to disposable income, among families. The agency had previously pegged that measure at 169.1 per cent for the second quarter. But on Friday, it revised it to 173.2 per cent, reporting at the same time that it rose in the third quarter to 173.8 per cent, which is pushing a record high. Looked at another way, it means we owe almost $1.74 for every dollar of disposable income. At the same time, the ratio of debt to assets inched up to 16.7 per cent, which, as Bank of Montreal noted, means we have only $6 in assets for each $1 of debt. Growth in borrowing has been slowing, which is a good sign, to be sure, but the income side of things isn't something you want to hear, particularly heading into the holidays. "Though concerns about Canadian indebtedness dialed down as credit growth slowed to 35-year lows, the income picture is now weaker than previously thought following downward revisions," BMO economic analyst Priscilla Thiagamoorthy said in a report. "As a result, household debt burdens still remain a crucial vulnerability for the Canadian economy." Not only that, the household debt service ratio, or principal and interest as a proportion of disposable income, also rose in the third quarter, to 14.5 per cent, the highest since just before the recession and financial crisis hit in 2008. And the interest-only portion of that is now 7.3 per cent, the highest in several years. "With interest rates climbing higher, and the income backdrop weaker, the interest component is taking a bigger bite out of paycheques, basically," Ms. Thiagamoorthy added in an interview. At this point, principal payments on overall debt are still higher, but that gap is narrowing, and the interest side could in time take over, she said. That, in turn, could have a "multiplier effect because Canadian consumers are the key driver of the economy, so it could have an impact on consumer spending." Time to fret? Well, that would depend on how much you owe. But, over all, not just yet, Ms. Thiagamoorthy said. Remember, too, that while the Bank of Canada has been raising interest rates, economists believe we may not see another hike until the spring. “For the time being, given the overall health of the Canadian labour market as marked by a record-low unemployment rate, most households are managing their debts relatively well, with delinquency rates currently at low levels,” said Toronto-Dominion Bank economist Ksenia Bushmeneva. Today marks the 115th anniversary of the landmark flight of the Wright brothers near Kitty Hawk, N.C. And they didn’t charge a baggage fee or fuel surcharge. Consider the next few days the economic equivalent of a last-minute holiday shopping rush, as central bankers, statisticians and realtors scramble to get everything done in time. So it'll be information overload for markets, from interest rate decisions around the world to reports that give us a snapshot of Canada's economy. Economists generally expect Statistics Canada's monthly look at the manufacturing sector to show a 0.3-per-cent rise in October shipments, though some project a decline. Among the latter are TD economists, who forecast a drop of 0.8 per cent. "The energy sector lost roughly 300,000 barrels per day of refining capacity in early October, roughly 20 per cent of the Canadian total, due to shutdowns at the Irving facility in Saint John, which will provide a significant headwind to manufacturing activity as a whole," TD said. "Motor vehicles should provide a key offset on higher reported production figures, while a rebound in machinery manufacturing could add another source of strength after registering the largest decline since 2012 in the month before the [new trade] agreement." Watch, too, for quarterly results for, FedEx Corp.
Statistics Canada kicks things off with the latest reading of inflation, which is believed to have cooled considerably in November as consumer prices outright declined from October to bring down the annual pace. "Energy prices just ain’t what they used to be, particularly so for Canadian inflation in November," said Royce Mendes of CIBC World Markets. "Gasoline prices fell a full 10 per cent during the month and will bear the brunt of the responsibility for the [not seasonally adjusted drop of 0.4 per cent in the consumer price index]," he added. "That means annual inflation will show up at 1.7 per cent, a steep decline from the 2.4 per cent it was tracking in October. Nevertheless, the move shouldn’t have much impact on the Bank of Canada’s thought process." Then, in the afternoon, the Federal Reserve is widely expected to raise its benchmark rate by one-quarter of a percentage point, continuing its string of increases with a hike just in time for those late holiday shoppers. 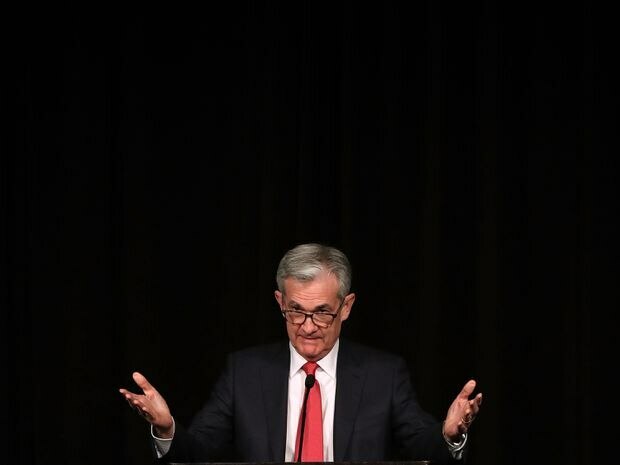 The U.S. central bank will also unveil fresh projections, with a news conference with Fed chair Jerome Powell. "We expect the Fed to hike rates despite the recent volatility in financial markets," said Nikhil Sanghani of Capital Economics. "But the renewed weakness of core inflation may prompt officials to revise down their interest rate projections." Neither the Bank of England nor the Bank of Japan are expect to change policy, but the former will certainly be worth watching amid Brexit developments and controversy, including last week's unsuccessful revolt by some party members against Prime Minister Theresa May. "Given all the uncertainty over Brexit, this meeting almost seems irrelevant given that the prospect of the Bank of England doing anything currently sits between slim and none, and slim just left the building," said CMC Markets chief analyst Michael Hewson. The Bank of Japan's decision, in turn, will probably be "a non-event, given that the Japanese economy fell into contraction in Q3, with a decline of 2.5 per cent year on year," Mr. Hewson said. "This is a remarkable turnaround from the 3-per-cent expansion seen in Q2, and means when set against the performance in Q1 the Japanese economy has stagnated this year." And you probably aren't begging for a BlackBerry for Christmas, particularly now that the company has shifted its focus from hardware. But maybe there's a wee gift for investors in BlackBerry's quarterly results. There's a lot to digest if this happens to be your last day before a holiday break. Up first is Statistics Canada, with reports on October retail sales and gross domestic product. The GDP report will show us how we started the fourth quarter, and economists generally expect to see growth of 0.2 per cent. Here's the thing, though: Normally, they have more information at their fingertips, but their estimates come before this week's reports on manufacturing and retail sales, for example. "Here’s what we do know: Auto sales were solid in the month, and production ticked higher," said BMO's Mr. Reitzes and Mr. Kavcic. "Cannabis legalization also began around mid-month, which could provide a modest boost," they added. "And, oil production cuts were not in play yet (could actually see a modest rebound from September’s decline). All told, this would set up growth in all of Q4 for something around 1.5 per cent annualized, a sluggish finish to the year." As for retail sales, economists believe they rose 0.6 per cent from September. Later in the morning, the Bank of Canada releases its widely watched business outlook survey, and "we expect to see a more muted tone on what lies ahead," said CIBC chief economist Avery Shenfeld.